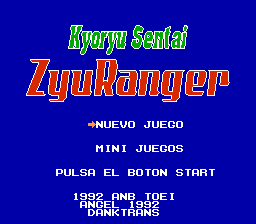 Kyoryu Sentai ZyuRanger is an action platformer game for the Nintendo Entertainment System. 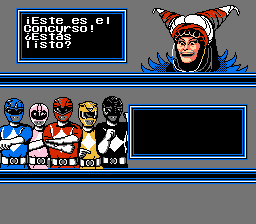 Full translation to Spanish for “Kyouryuu Sentai Juuranger”, for the Nintendo Entertainment System. 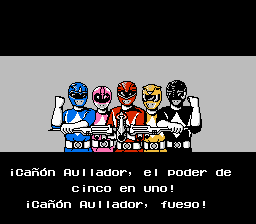 Adds extra characters. 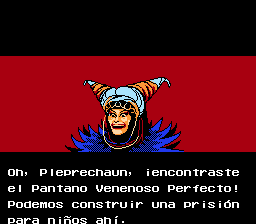 Based on the translation by Grimm Translations. 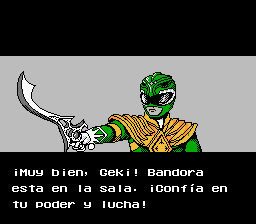 Eien Ni Hen Original Translation Translation. RedComet Original Hacking Line hack. danke Original Work Original translation, editing, preliminary hacking, graphics editing.